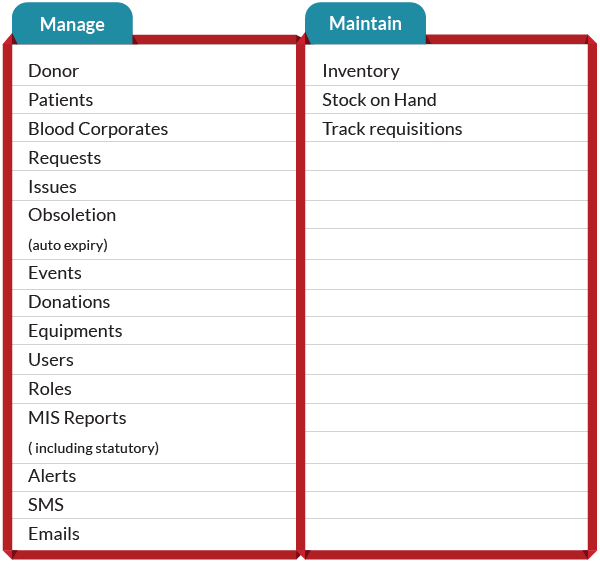 Spigot’s Blood Bank Management Software takes care of complete workflow of any Blood Bank. It efficiently manages the complete database of Donors and recipients along with their blood groups. The stock various components of blood is maintained by the software and at any point in time the user will know whether blood/blood component of a particular blood group is available or not. The software provides a good set of MIS reports that helps in better decision making.